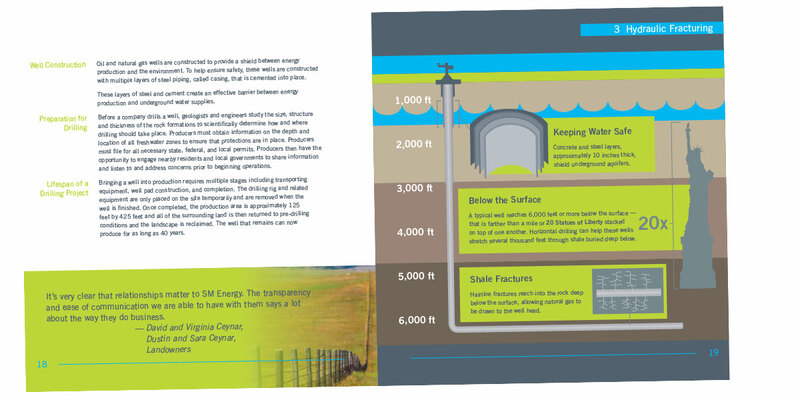 Working with ide8 Marketing, we were hired by SM Energy in Denver to create a program that would educate and inspire conversations around hydraulic fracturing from the inside out. 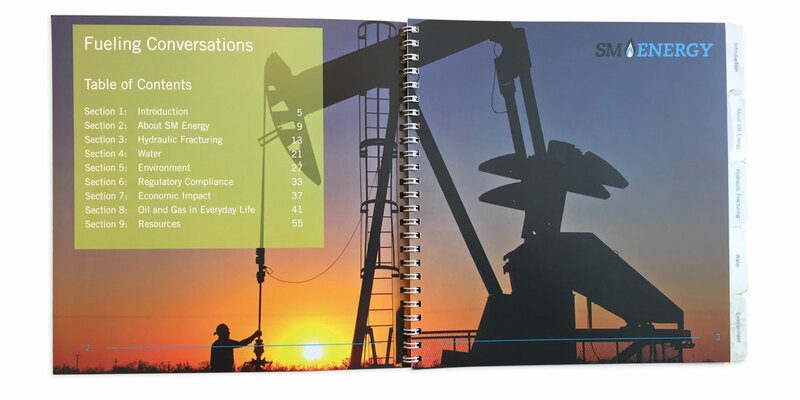 We created a 60-page educational resource to equip public-facing employees with relevant and factual information for their use in discussions with colleagues, friends, and family. We also created a series of posters that addressed the hottest talking points. 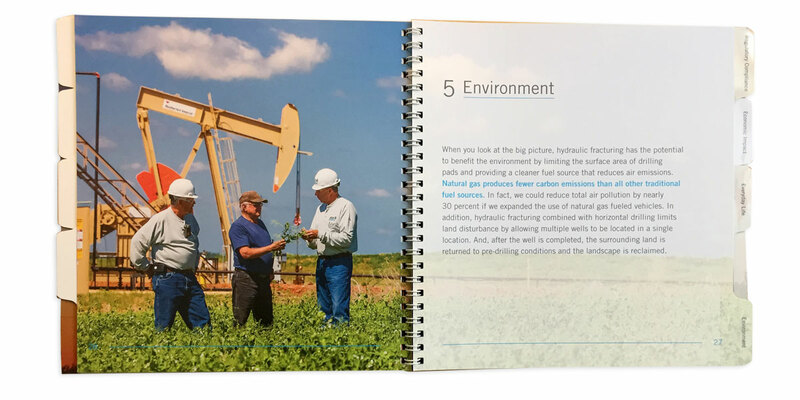 How might we help energy employees engage their communities helpfully and effectively regarding the concerns surrounding hydraulic fracturing? 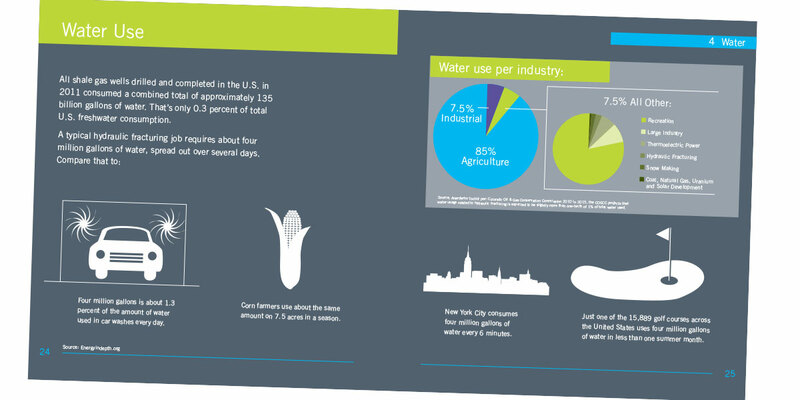 We created an educational reference around open talking points that featured text divided into sections by topic, interspersed with colorful, on-brand informational graphics and striking photography by industry pro Jim Blecha. The sections were tabbed for quick reference. 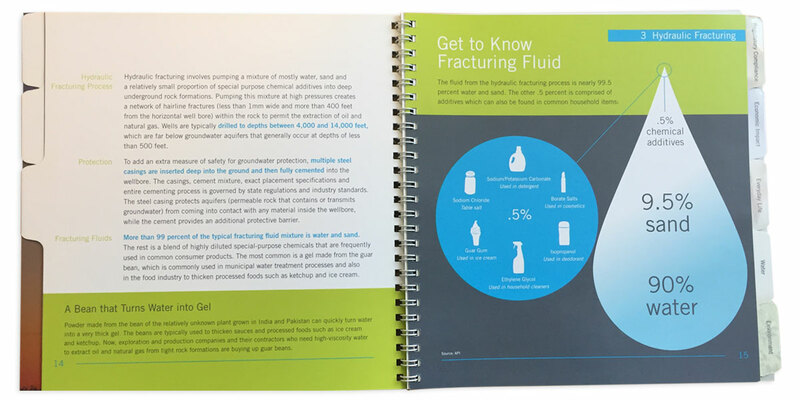 The back pages of the piece was dedicated to show the toys, tools and conveniences that we use everyday, created with industry by-products; scenes depict common activities which are overlaid with an opaque sheet and ink blocking out the products that rely on oil and gas production. 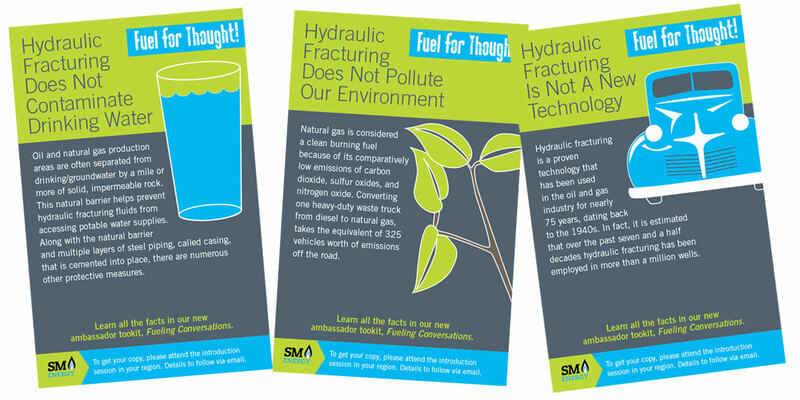 These posters, representing one commonly misunderstood issue each, were created for hanging up around the office and sending out in email blasts to constituents. 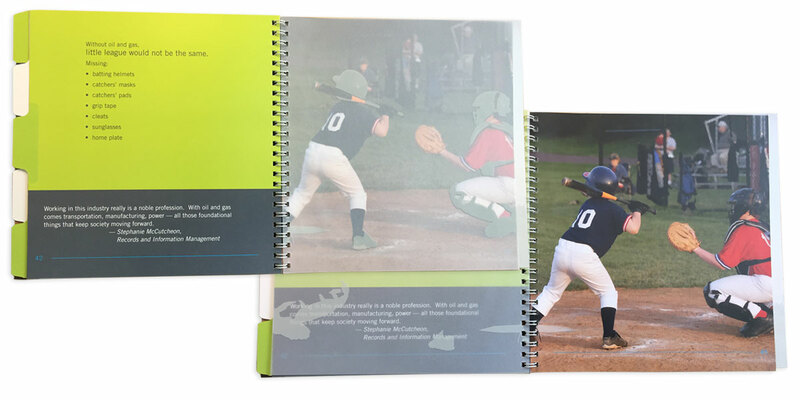 They represented the brand in a fresh and accessible way, and were a warm up to the Fueling Conversations book, as well.